Exclusive! What a fantastic way to show love for your feline friends! 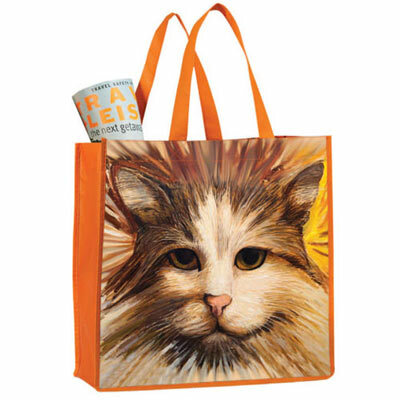 Printed on front and back with a unique cat design, our Cat Tote is made of non-woven coated polyester that features orange side panels. Wipe clean. Imported. 14"w, 12"l handles.